Various ritual objects are used for specific festivals and holidays, as well as on a daily basis, to maximize the fulfillment of a mitzvah. Specific laws accompany how they are to be used and even sometimes made. 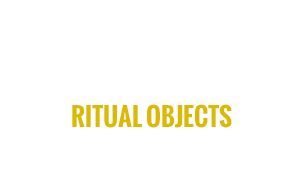 The use of these ritual objects are not universal, however. Many objects, while they achieve the same purpose, look and are used differently amongst various Jewish communities. All ritual objects, though, exist to enhance the meaning of the practices that help Jews celebrate their history, link themselves to the past, and observe sacred traditions that have been performed for centuries.